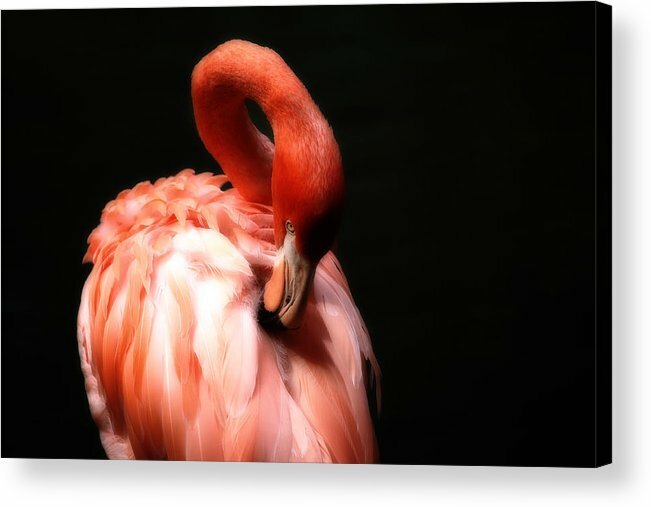 Flamingo Softness by Karol Livote - 10.000" x 6.625"
Flamingo Softness acrylic print by Karol Livote. Bring your artwork to life with the stylish lines and added depth of an acrylic print. 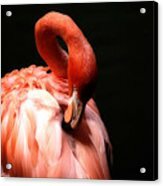 Your image gets printed directly onto the back of a 1/4" thick sheet of clear acrylic. The high gloss of the acrylic sheet complements the rich colors of any image to produce stunning results. Two different mounting options are available, see below. 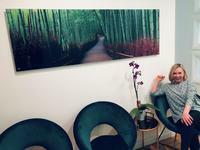 Thank you John, For the feature in the Images that excite group! Thank you Chrisann for the feature int he Weekly Fun Group! 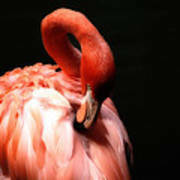 Thankjs fore th efeatures in the Artu=ist news group and the Zoo group! Thanks Bill for the feature in the Birds group! Love the pose you caught this flamingo in, Karol. The lighting is spectacular. Vote. Love the preening pose of this one Karol! 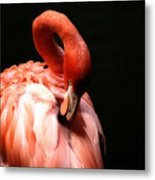 The colors of the flamingo surely go well with black background. Very nice capture and presentation! 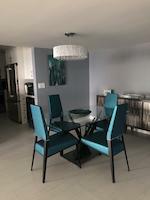 Thanks so much, Randy...glad you like it! Spectacular, Karol. Featured, voted and faved. Love the colors, the curves and the background. Fave. Absolutely gorgeous flamingo photo !